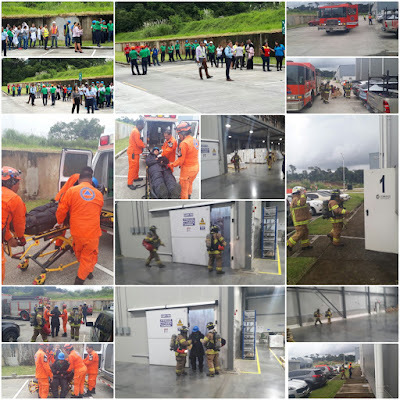 J. Cain, in compliance with its occupational safety and risk mitigation plans, conducted an emergency drill due to a strong earthquake at its facilities in Panama Pacifico. 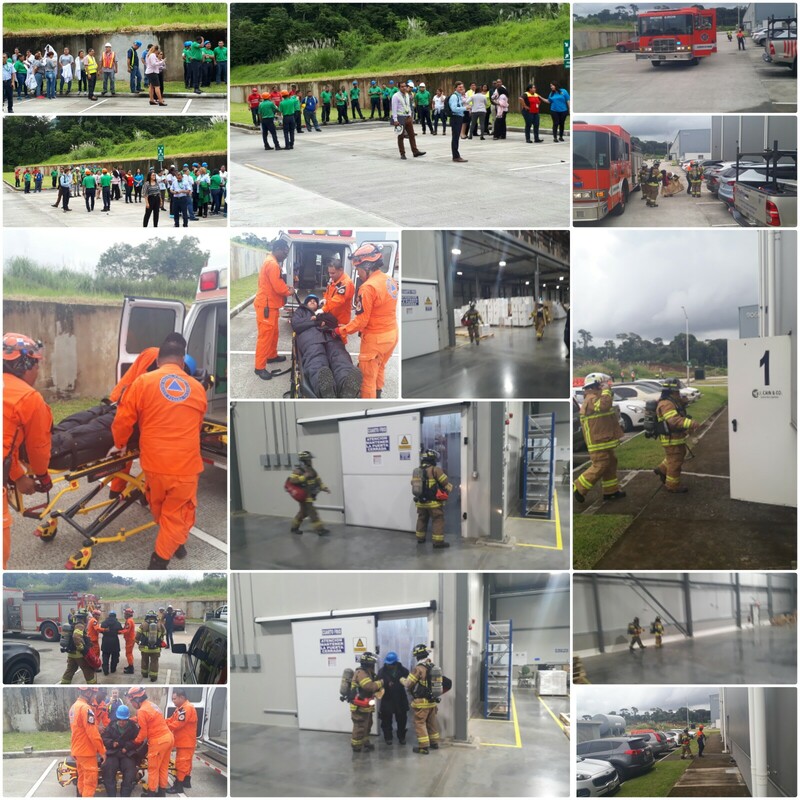 The drill, conducted in coordination with SINAPROC, the Panama Pacifico Fire Brigade, London and Regional, and the Panama Pacifico Agency, joins the security initiatives of J. Cain, Panama Pacifico and the security sectors of the area, positioning Panama Pacifico and its companies as leaders in occupational health management and risk control. During the simulation, emergency alarms sounded due to the supposed earthquake in the Panama Pacifico area. The emergency brigade of J. Cain coordinated the eviction of the building according to the plan with a better time than expected, and simulated the role of a collaborator who went into state of panic and did not want to leave the cold room where he was working. As part of the simulation, the brigades notify the firefighters about the panic worker and they quickly enter the building to begin the process of evaluation, search, rescue and subsequent medical attention by an ambulance from SINAPROC. The purpose of this simulation was to measure staff evacuation time, evaluate the reaction and compliance of emergency plans by the collaborators, examine the actions of the emergency brigade, and measure the response time of the safety layers in real time. The results were extremely successful, demonstrating the ability of companies and emergency services to react to this type of situation, highlighting to our staff the importance of being prepared for any emergency.